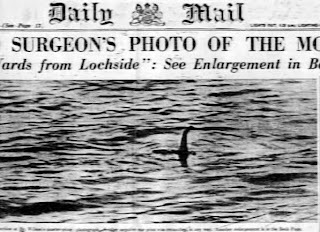 You might think the title suggests this is an article about debunking Loch Ness Monster photographs. But it is not, it is rather the problems researchers such as myself have in accessing what is presented as evidence for the creature. Take a look at the four pictures below of the Hugh Gray picture (which just turned eighty years old). 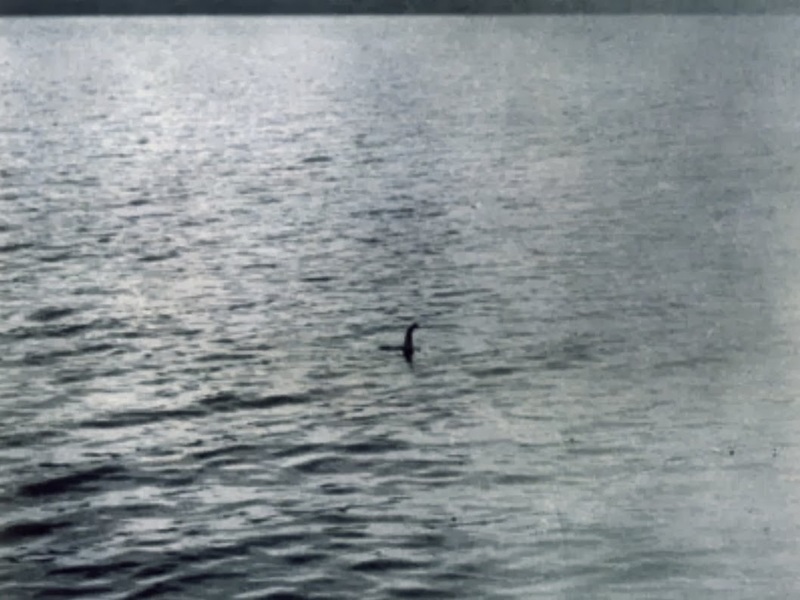 This highlights the first problem with trying to assess Loch Ness Monster pictures - the quality of the reproduced image. The first picture is the best one and is called the Heron-Allen image but more often than not it is the inferior over-contrasted third image that has made its way into the literature. Ted Holiday used image three for his detailed analysis in "The Great Orm of Loch Ness", but it is my opinion that if he had had access to the Heron-Allen image he would have come to a very different conclusion about what that picture showed - a fish like head gawping at us on the right. But to be fair, some newspapers at the time did faithfully reproduce the untouched image. For example, the Daily Record was so impressed by the image that they decided not to put it through their normal retouching process which would have "enhanced" what they though were relevant features. The 1934 Gould book reproduced that native image. In fact, so used were readers to seeing such retouched pictures that the editor saw it fit to put a clear statement in the article that the picture was completely untouched. Not so lucky were readers of the Aberdeen Press and Journal who were subjected to image number two which is a travesty of photographic reproduction. It is in fact what the picture looks like after going through the retouching processes of the time and gives a wrong impression of what is in the picture. However, the Press and Journal repented of their deeds and showed the untouched picture the next day! Image four is one for the future. It is also a retouched picture by Tony Harmsworth which he created to try and demonstrate the presence of a labrador dog in the picture. He was not being deceptive and was upfront about his effort. However, Tony, I would say the chances are well odds-on that this picture will eventually end up on some website touting it is as a faithful reproduction (if it hasn't already). 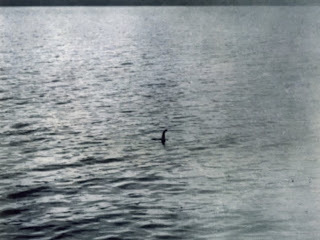 The second problem with Nessie photographs is the zoom-in symptom. Time and again we see pictures which zoom in to get a close up of the beast or so called beast. The Hugh Gray picture above is a zoom in but it is not the only one. The Surgeon's Photograph is typically displayed as below. When the Daily Mail first printed it in 1934, it was typically a zoom in to increase the "Wow!" factor. But the actual, uncropped image seemed to disappear from view for years until it was discovered in the 1980s (correct me if I am wrong on that point). Now we have a frame of reference and a better idea of what is going on. When you have an uncropped picture and know something about the camera, you can extract more information about objects in the picture which can be used to support a given opinion of the picture. 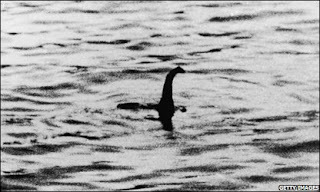 It's a problem that pervades many Nessie pictures and can prevent further progress on whether the picture is the genuine article or something else. Photographs which suffer from this lack of frame of reference are the Hugh Gray and F.C.Adams pictures but others get printed blown up and getting the original can be next to impossible. But it gets worse when we realise that some pictures just seem to have been completely lost to researchers or are locked up somewhere gathering dust. This is especially applicable to motion pictures. For example, where is the G.E. Taylor film of 1938? A still is shown below but that is just not good enough! What happened to Peter MacNab's second photograph? 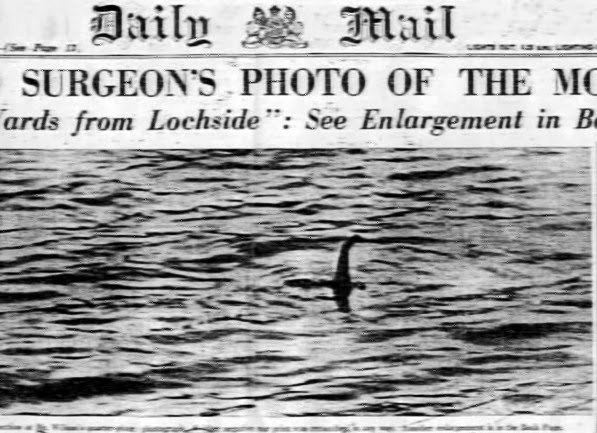 And where is the first ever purported film of Nessie taken in December 1933 by Malcolm Irvine? This is not to be confused with his 1936 film which can be viewed here (8m19s in). I would also count the various films and photos captured by the Loch Ness Investigation Bureau in this regard. They are not lost, but are beyond public access. So, never mind apocryphal tales about sensational films by MacRae and Currie locked away in bank vaults. What about the films and pictures we do know about? It's bad enough trying to convince the world with what we have only to be disadvantaged by this as well. Such is life. Other historical researchers in other fields will no doubt bemoan the lack of access they have to various items. So I do not regard Loch Ness Monster research as especially obstructed in any way. Note I haven't even got on to the subject of accessing original negatives, but to be fair, I should not expect so much. Anyway, back to researching the photos we have. I hope to publish an analysis of the latest photograph by Jonathan Bright next week. I was tempted to selfishly keep this one quiet so I would have less competition from bidders! However, I have shown Andy Walker's art here before and this item that is currently for sale on eBay deserves wider publicity. It's a painting worthy to be hung on any Nessie lover's wall or even in a cryptozoological museum. Anyway, you can find the item listed here. It is entitled "More Than A Legend" in recognition of Constance Whyte's book. I am sure she would approve. The auction ends this Sunday (24th November).